Fort Worth and it’s outlying areas are served by 3 specialized military Realtors who can help you achieve the dream of home ownership with the Texas VA home loan. We place a special emphasis on Tarrant county due to the over 121,000 veterans living in the county. Ft. Worth is also home to Naval Air Station Fort Worth Joint Reserve Base. If you think you are ready to start searching for a home, all you have to do is press the “get started” button, send us your information using the electronic form, and a VA specialist will call you within 12 hours to set you up with a Ft. Worth VA Realtor. If you are just getting started and you need a Texas VA home loan in Ft. Worth we can help with that also. 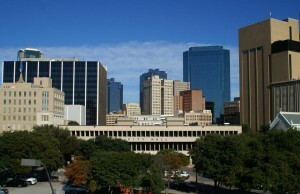 We have several Texas VA home loan lenders in Fort Worth that can prequalify you within 12 to 24 hours. While on the phone let us know and we’ll have a Ft. Worth VA home mortgage specialist call you at a time of your choosing. A Fort Worth VA mortgage can be used for almost any home. You can purchase a resale, a brand new home or a VA approved condo. The Realtor assigned to your purchase will have access to all homes listed in the Fort Worth MLS. Once you have settled on the perfect home, it will take between 30 and 45 days on average to close. USVA Realty covers all of Fort Worth and its outlying areas. We also provide services as far North as Grapevine, as far South as Burleson and Cleburne, and Weatherford to the West. It’s time to get started. Learn more about Texas VA home mortgages today.